In this FREE report, you’ll find great ways to help you sell your home! Are you really ready to sell your home? If you answered, “Yes!” you can greatly benefit from this FREE guide. 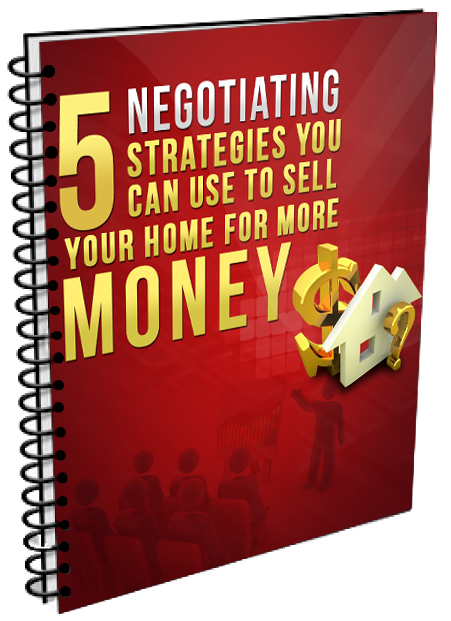 I’ve outlined both the typical negotiation process as well as several less conventional negotiation methods to help you get the absolute most for your home, and in as short a time as possible. This isn’t a scam, my friends! This report is really FREE and can really help you to get the home selling results that you’ve dreamed of. Simply fill out your information and get immediate access to this incredibly educational report. Don’t worry! It’s nothing super personal. Just fill in your email address, first name and phone number to get this FREE report right now!